Follow us on Instagram @WKYC. 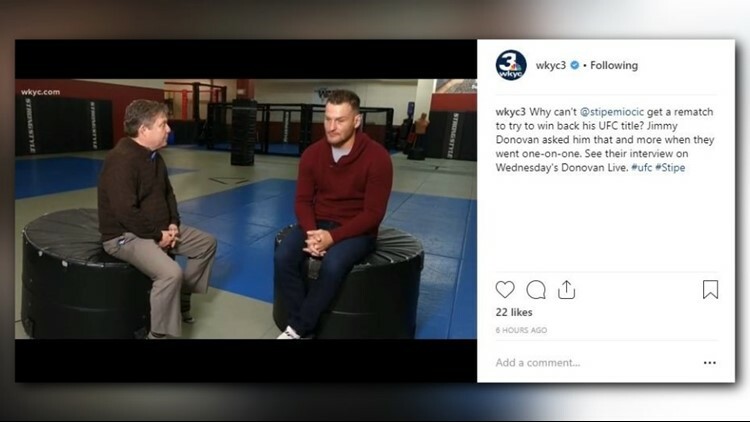 Yesterday, our Jim Donovan met up with local UFC fighter Stipe Miocic. Miocic is seeking revenge in the form of a rematch with Daniel Cormier, but says UFC isn't cooperating. Check out a portion of the interview and see the full conversation Wednesday at 7 p.m. on Channel 3. Maureen Kyle told us a funny story about her quest to see the infamous Rockfeller Christmas tree in New York. It didn't go as she'd planned. How broke are you after Black Friday, Small Business Saturday and Cyber Monday? At least you got some good deals, rights? Have you finished your #Christmas shopping already? Last month, WKYC celebrated 70 years in the business. The Cleveland Cavaliers helped us keep the celebration rolling with well wishes. We’re still celebrating #3Turns70 and these guys had some awesome messages for us. Thanks @cavs! On Monday, Kyle Korver scored 22 points in 21 minutes in the Cleveland Cavaliers' 102-95 loss to the Minnesota Timberwolves.As it turns out, the impressive performance was Korver's final game as a member of the Cavs. According reports, the Cavs have traded Korver to the Utah Jazz for guard Alec Burks and a pair of future second-round picks. According to reports, the Cleveland Cavaliers have traded Kyle Korver to the Utah Jazz for guard Alec Burks and a pair of future second-round picks.